In the beginning, there was IPA. And it was good. It even had a cool story to go along with it. It was brewed extra hoppy to survive the long sea voyage to reach British troops in India. And beer geeks looked on their extra hoppy (and slightly stronger) pale ale, and their fun story that went with it, and they were pleased. You could enjoy a nice hoppy beer now and then, and there were other styles of beer on the shelf when you were in the mood for something else. Then came . . . you know, everything that followed. Now it’s 2016 and you are reading an article about adding fruit to an American-style IPA. If you follow this website, you’ve also read stories on rye, session, black, Belgian, and wheat IPAs, along with a whole series on American pales ales, IPAs, and double IPAs. (And unless they die off as quickly as they sprung up, you will one day read an article about “juicy” New England style hazy IPAs.) Beer-related sections of the world wide web are clogged with articles either praising or damning all the new varieties of IPAs. I’ll leave the value judgements to you and simply explain how to brew an IPA with fruit, if you’re so inclined. Grapefruit. Photo by Evan-Amos in the public domain. Ballast Point’s Grapefruit Sculpin IPA kicked off the recent surge in fruit IPAs. Sure, Dogfish Head’s Aprihop preceded it by many years. And white IPAs (which contain orange peel so at least sort of qualify as a fruit IPA), have been around for awhile now. But Grapefruit Sculpin really got the ball rolling. 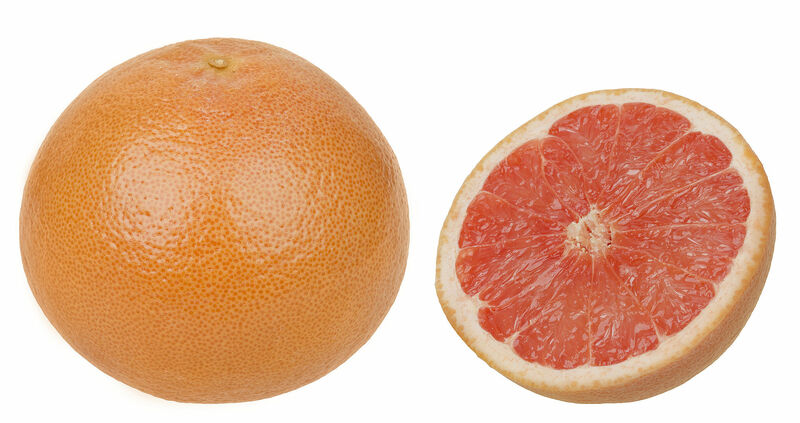 And it’s a great place to get started because of the fruit they chose — grapefruit. As you probably know, some American hop varieties have a citrusy edge to them, with some (like Ahtanum, Amarillo, and Cascade) frequently described as grapefruit like. In addition, in the new wave of New Zealand hops, there are varieties (including Riwaka, Motueka, and Kohatu) with tropical fruit notes, and most of the new fruit IPAs pair these hops with similar fruits. What many brewers are doing is choosing a hop variety with fruit notes, and picking the same or similar fruit. 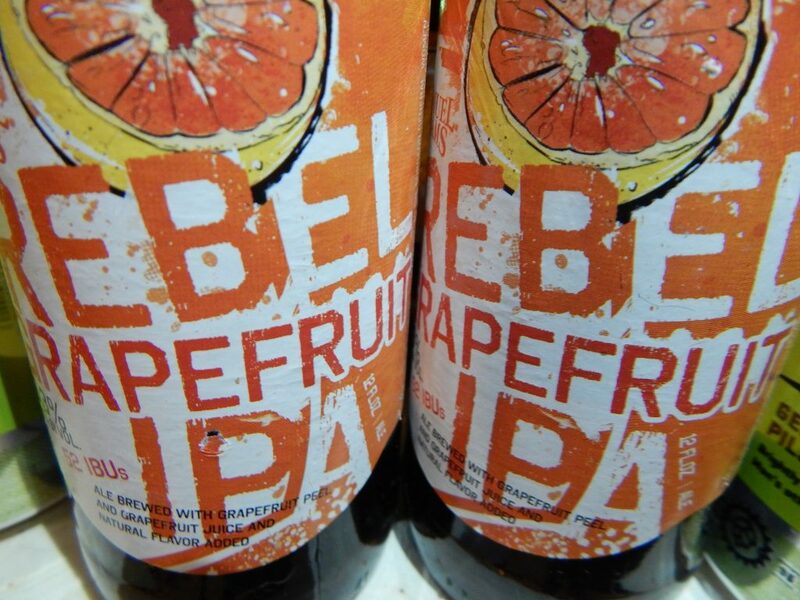 So, grapefruit in an IPA with grapefruit hops and mango in an IPA with tropical fruit hops. A variety of fruits show up in this kind of IPA, with grapefruit and other citrus fruits, mango and other tropical fruits, and pineapple being popular choices. The thing brewers used to say about fruit beers is that fruit flavors clash with hop bitterness, so dial down the hops when making a fruit beer. Most “old school” fruit beers were based on a light-colored ale, which was lightly hopped. The pale color also let the color of the fruit show through, and the subdued hopping let the flavor and aroma of the fruit take center stage. Some fruit beers were based on darker beers. These include cherry stout and coconut porter. And homebrewers certainly brewed a lot of fruit beers that ran the spectrum of colors and styles. Many of these were hopped to a greater degree than their pale counterparts. In a beer that is supposed to be an IPA, the level of hopping is expected to be high. The idea behind most modern fruit IPAs is to pick a fruit that either matches one of the hop descriptors or complements it. Also, in many of the commercial examples, the fruit only complements the beer, not overwhelms it. If you enjoy Beer and Wine Journal, please consider supporting us by clicking on one of the donate buttons, thanks.